College is a time of great excitement, discovery, and adventure. It's a time during which you feel as though you can conquer the world and anything is possible. I remember back in my college days I had lots of hopes and dreams. I wanted to write great poetry. I wanted to teach underprivileged kids in Houston. I wanted to travel to foreign lands. What I mostly did was hang out with my sorority friends, study a lot, drink keg beer, and flirt with boys. Then repeat, repeat, repeat. Money was really tight for me. My parents and I chose the college I attended based on a scholarship I had received. It paid my full tuition for one year, and it was renewable every year as long as I maintained a certain grade point average. Despite all my boy chasing, beer drinking, and sorority schmoozing, I did manage to keep that GPA and that scholarship every year. I only had a part time job my senior year - my parents felt my "job" was to get that scholarship back every year. We still had to pay for room and board and textbooks, which were a lot of money! There was no money left over to pursue any of my college dreams. I could sell the books back at the end of every year, but only at a fraction of what I had paid for them. Luckily, times and textbook acquisition have changed. Back in my college days, renting textbooks wasn't an option. You bought them for a hefty price and if you couldn't sell them back, guess what? You got to keep a $93.50 copy of Art from the 18th Century. I bet some of us still have that "art book" on our coffee tables. Wheee!! Campus Book Rentals is one of the pioneers of online textbook renting. Since 2007, over one million students on 6,000 campuses across the country have used CBR. That's pretty impressive. You know what else is impressive? Their commitment to giving back. Campus Book Rentals partners with Operation Smile, an organization that provides life-changing surgeries for children who were born with a cleft lip and/or palate and cannot afford the surgeries otherwise. Operation Smile is near and dear to my heart as my son, Slim, was born with a cleft lip and palate and will be undergoing his fourth surgery this summer. CBR promises to donate a minimum of 80 additional surgeries for these kids this year. 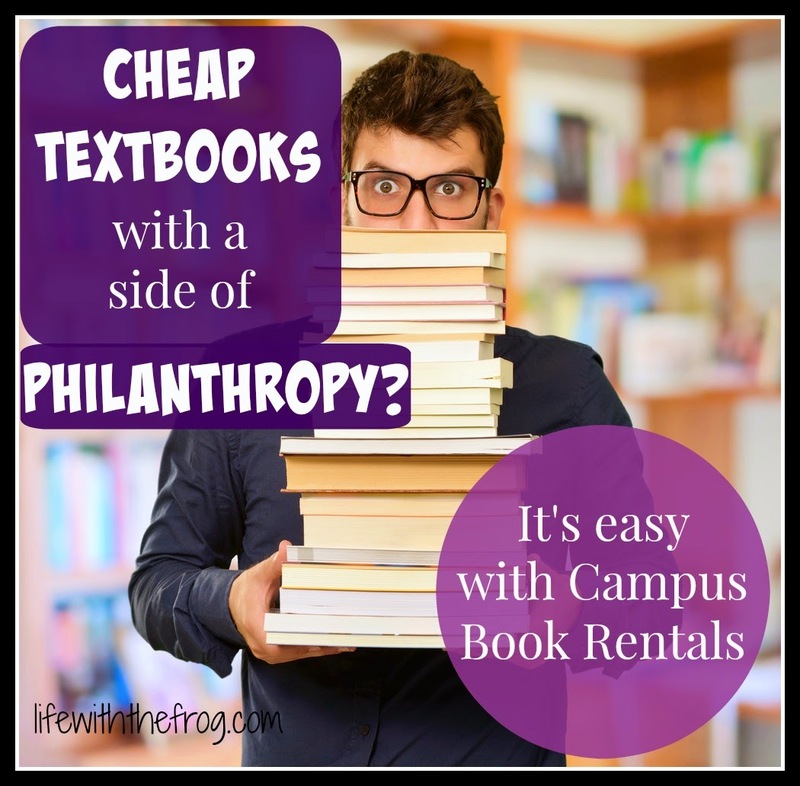 Cheap textbooks and a side of philanthropy? Yes, please. Thank you, Campus Book Rentals. I was compensated for this post. Facts are facts, but the opinions are all mine.